Physical accessibility. While at 1443 Washtenaw Ave, the Center will only be accessible by stairs. We apologize for any inconvenience that this may cause and encourage people to contact us with questions and concerns regarding physical accessibility to the 3rd-floor of the building. The 1st-floor is wheelchair accessible, as is the Recreation Room on the ground floor from the parking lot. Hours. The building will be open during the Fall and Winter semesters, Sunday-Thursday from 9am-10pm and Friday-Saturday from 9am-12am. Spectrum Center will be closed on Monday, December 24, 2018, and will reopen with regular hours on January 2, 2019. Space. Spectrum Center will be housed alongside the Multi-Ethnic Student Affairs office (2nd-floor). There is a conference room within Spectrum Center's space on the 3rd-floor that is reservable by all units in the building. The 1st-floor features a reflection room accessible to students for meditation, yoga, and quiet reflection (see front-desk for a key). The ground-floor Recreation Room is reservable by our units and student organizations for programs and events. Restrooms. There are two restrooms per floor and only one on the 3rd-floor. Gender inclusive restrooms and accessible restrooms are located on the 1st-floor. There is no hot water in restrooms on the 2nd-floor and ground-floor. The 2nd-floor and 3rd-floor restrooms are single stalls and not gender specified. Men's and Women's accessible restrooms are located on the ground floor. Security. There is a fire escape door, with an alarm, located in Room 270 (at the end of the 2nd-floor corridor). It is very loud, so avoid opening it unless there is an emergency. Security cameras are located on each floor of the building. Due to security reasons, no one is allowed to be in the building after it closes at 5 pm. Parking and transportation. On July 1st, 1443 Washtenaw Ave parking lot will be transitioning to Blue Parking that is zoned for faculty and staff (M-F, 6am-6pm). Students with the accessible verification permit (Handicap-Designated) will be able to park in all blue lots. Bus routes. 1443 Washtenaw Ave is also serviced by U-M Bus routes: Northwood, Bursley-Baits, and Commuter North; and TheRide: route 4 that runs from Blake Transit Ctr to Ypsilanti Transit Ctr with the nearest stop at Washtenaw & S. University. The Center is a 7-minute walk from the U-M Central Campus Transit Center. 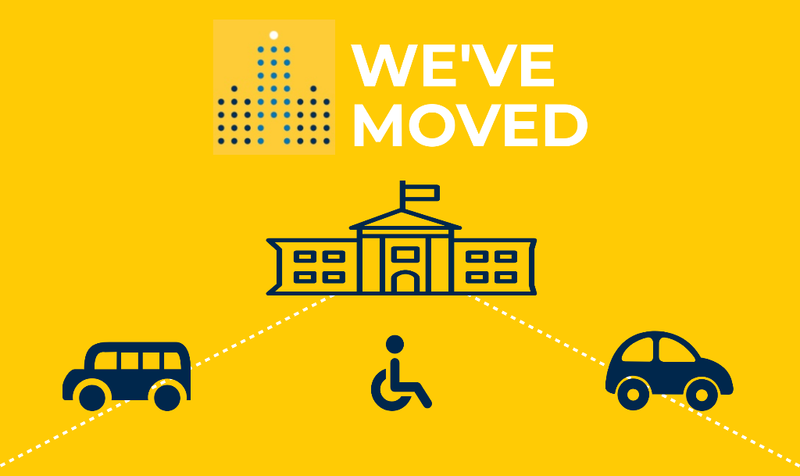 Additionally, Services for Students with Disabilities (SSD) approves the use of Paratransit for students, faculty, and staff who usually have mobility impairments and temporary mobility impairments. Contact SSD to learn about conditions under which students, faculty or staff may qualify. Contact information. Our contact information is the same, and you can always call (734) 763-4186 or email spectrumcenter@umich.edu.